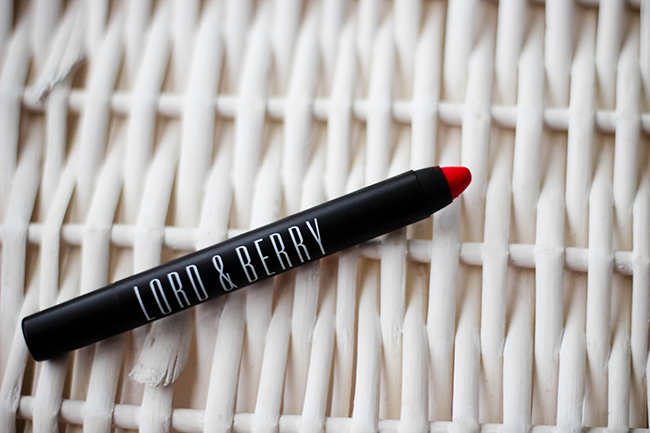 Another Lord & Berry item, this time it's a jumbo pencil / crayon whatevs you want to call it. Gosh if there is one thing to say about this pencil, it smells so good - forever sniffing it, crayon crack! This is a creamy, orange based red...fits the name 'Fire'. As I mentioned before this highly pigmented pencil, is moisturising and has a vanilla (I'd say) scent to it with a nice shiny finish to it. 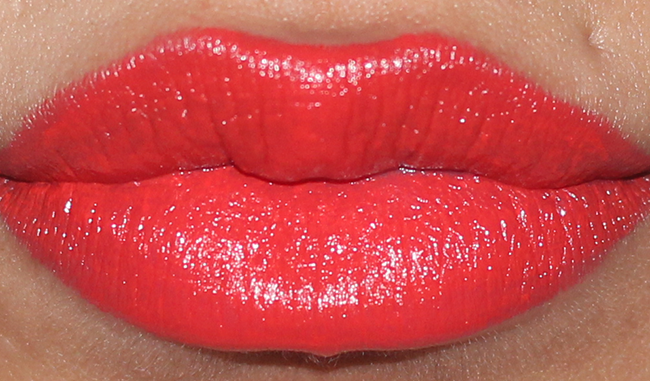 The lip color is beautiful! Oh i love this! So gorgeous! This is a gorgeous colour, I'm really surprised at the price! I will definitely be looking into Lord & Berry!